Businesses, professionals, and even individuals with a blog want to be seen, want to be read, and want to win over people to their brand, their product, or their point of view. Search Engine Optimization is important in that regard because it increases the chances that your website will be returned as a result when a user is searching for a particular service, product, or looking for information that you can provide. SEO should not be where you put all your eggs or all your marbles – which is the same as saying it’s not where you should spend all your time or all your money. Optimizing a website can be divided into short term and long term strategies. Long term, you are looking at incorporating your SEO needs into your marketing strategy. The search engines do not spend money, and they are not potential customers, and so SEO needs to be integrated into a broader marketing strategy. Cicero Designs does not engage in “black hat” tricks to try and improve a websites SEO, and you should read why this is important to your business. 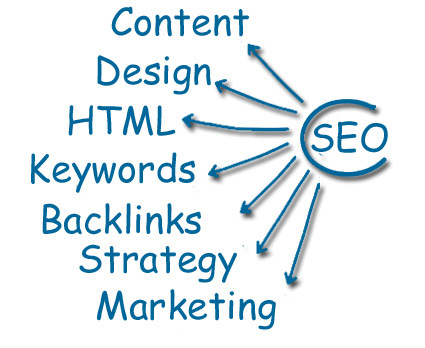 We take a holistic approach which is good for your business and good for your websites SEO.